If you’re anything like me, you’ve eaten all the candy canes off of the tree already. Nothing says “holiday season” better than peppermint. I’m such a peppermint junkie that my mom scours the town for the big peppermint sticks to put in my stocking every Christmas, and I even freeze them so I have them all year long! What’s even better than peppermint? Peppermint cookies of course! 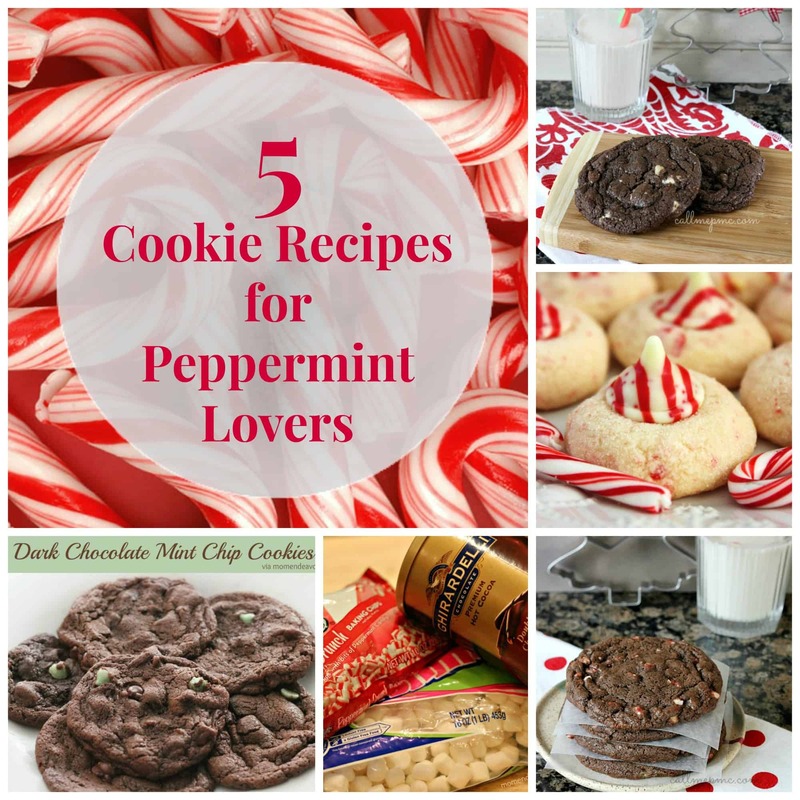 Here are 5 delicious peppermint cookie recipes found in Blogland recently that will make the day of any peppermint lover. This is a combination of two of my favorite things on Earth – chocolate and peppermint. The first time I saw these, I wanted to eat my laptop. Can’t wait to try them. This recipe comes from the same blog above, except for this time she seems to have improved on the above recipe by combining mint, chocolate, and (yay!) walnuts! These cookies are extra large, crispy on the outside and soft on the inside! Doesn’t get much better than that. The fact that you’re reading this post means that you love peppermint and you probably love hot chocolate too! Combine those into a cookie – with marshmallows on top! OH. MY. GOODNESS. I’m really not a fan of dark chocolate, unless it’s combined with mint. And these look amazing! These remind me a lot of the popular peanut butter cookies with the Hershey’s Kiss in the center, but these are peppermint cookies with peppermint Kisses. Peppermint on top of peppermint? Yes please! Now off to the store I go to get another box (or 7) of candy canes. In the meantime, feel free to share links to your favorite peppermint cookie recipes below so we can all enjoy them!